Queen of the South and Ayr United played out an entertaining 1-1 draw at a soaking wet Somerset Park. 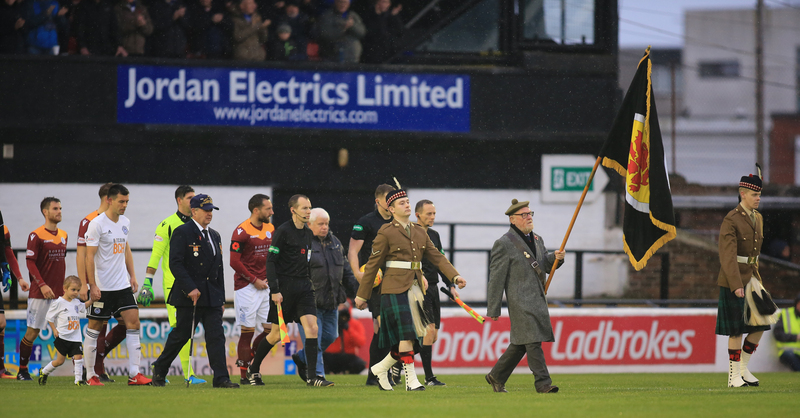 As expected, much of the pre-match build up was aimed at Stephen Dobbie and Lawrence Shankland, and who would come out on top. The two respective talisman have scored a combined 25 league goals this season, Dobbie with 13 and Shankland with 12. Gary Naysmith made two changes to the side that lost at Tannadice last week. Scott Mercer and Andy Stirling dropped out for Callum Semple and Gary Harkins. 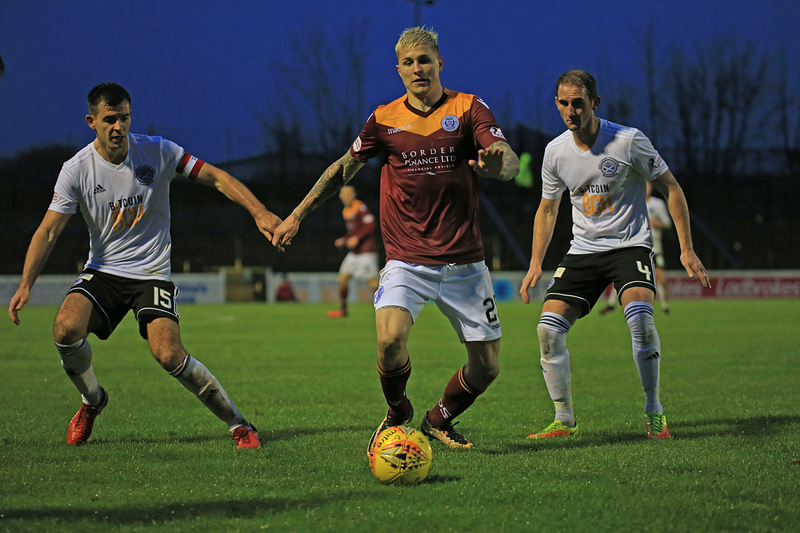 The visitors lined up in a 4-3-1-2 formation, with Dobbie partnered by Lyndon Dykes up-front while Harkins played just behind them. Michael Doyle moved out to right-back as Callum Semple slotted in at centre-half. A scrappy start to game saw both teams trying to figure out how to play the surface. It was evident early on that long ball just wouldn?t work, as the ball would just skid out of play due to the wet pitch. 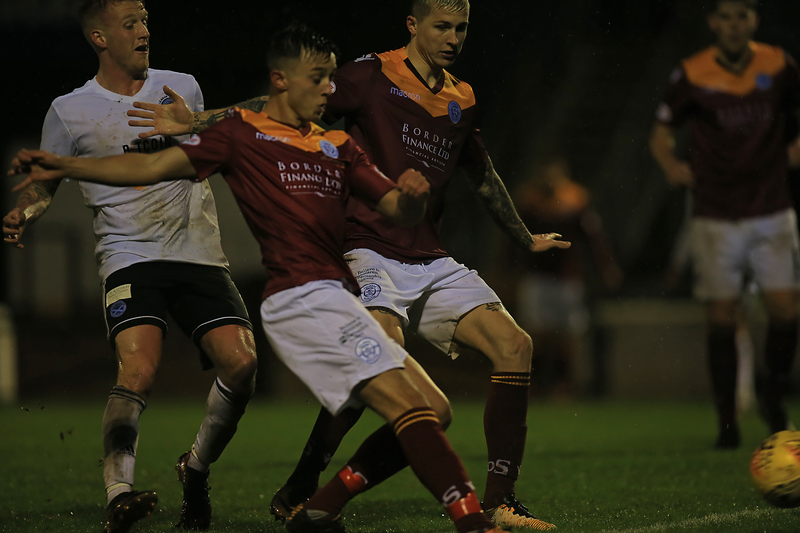 Ayr had the first half-chance of the game after nine minutes, as Craig Moore was played in by Mark Kerr, however the ever reliable Callum Semple was their to cut the Ayr man out. After 19 minutes Ayr were awarded a free-kick in a dangerous position, however Shankland?s poor effort was deflected out for a corner. 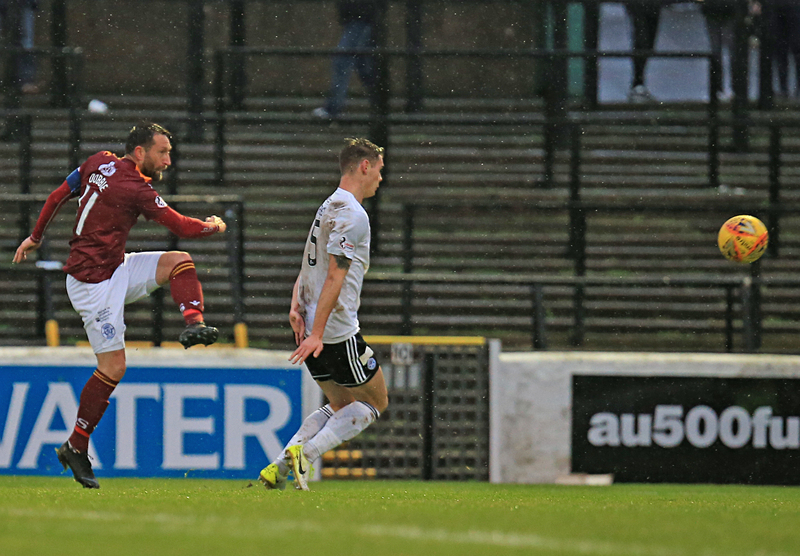 Literally a minute later Ayr were awarded another free-kick, this time in what can only be described as the perfect position for a right-footer. Shankland?s free-kick was of similar quality, however this time it deflected on target and Martin done extremely well to save considering how late he seen the ball. As Martin parried the ball away, he then done amazingly to knock it just wide of the incoming Moore, who was ready for a one-yard tap in. It wasn?t the only time Martin would be called into action in the first period, as he was then forced to make an acrobatic save from Alan Forrest?s powerful shot. Ayr were dominating possession, but Queens were still having their fair share of chances. Dobbie?s free kick from 25-yards out was well blocked by Kerr. ?Dobs? then struck the post in quite spectacular fashion. He claimed a loose ball down the left hand side, and out of literally nothing, he viscously hit a left foot volley off the inside of the post. A half of few clear cut chances, but nonetheless both teams were pushing for the victory. Dobbie?s volley was undoubtedly the best shot of the half, but Shankland, Forrest and Moore had chances for Ayr that Martin done well to stop. As the second-half got underway neither team was able to assert their dominance. Moore had a long range effort that Martin done well to parry away, before Queens brought on Stirling for Todd to try and change the game. After 70 minutes, Moore was afforded space 12 yards out from goal, but his volley was a poor one and was straight into the hands of Martin. This was the best chance of the game so far, and in the last 20 minutes the game began to open up more. While the game was fairly open now, it took a set piece for the first goal to come. 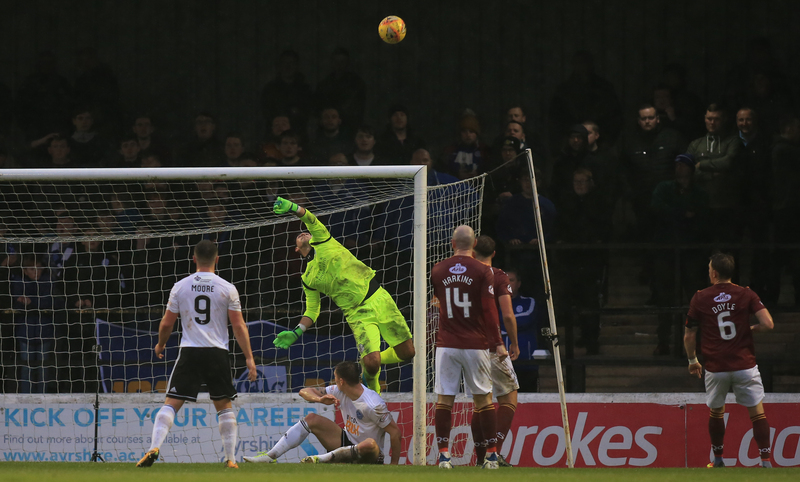 A couple of corners for the hosts were putting Queens under increasing pressure, and it eventually paid off as Michael Rose jumped highest at a corner and headed past Martin in the Queens goal. On the balance of play, Ayr probably edged things, however Queens were by no means out of the game. An inspired substitution by Gary Naysmith seen Connor Murray replace David Norman as Queens went chasing an equaliser. It only took the youngster 20 seconds and just one touch to make a difference. A free-kick into the box was headed across goal by Callum Fordyce, and Murray was there to tap the ball into the goal. After the game Naysmith was quick to compliment how well Murray had been training recently, and that the goal was no less than what he deserved. After the equaliser there wasn?t too much in the game. Ayr kept more of the ball, but Queens still looked dangerous on the counter. The Doonhamers put an end to Ayr?s 100% home record and pick up a valuable point on the road. 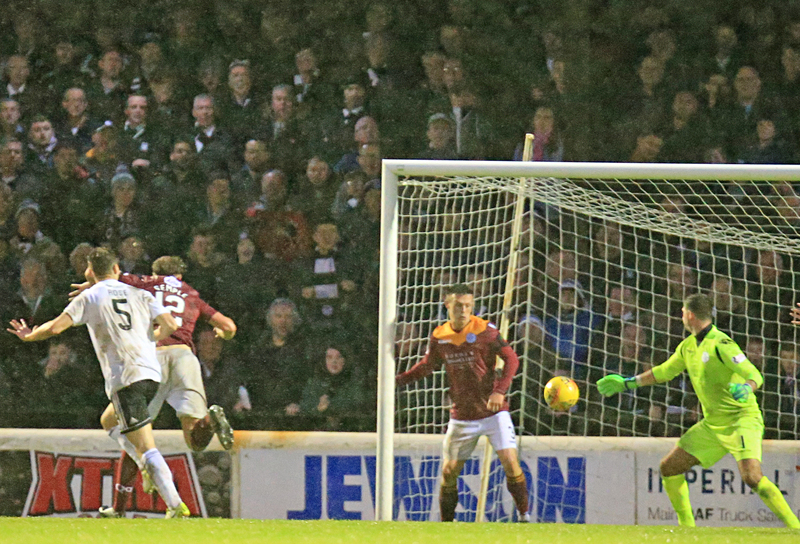 Ayr kept more of the ball, but Queens had quite enough chances to merit the draw. A massive thank you must go out to the 450 travelling fans their to support the South. The constant singing, even when Ayr scored, was fantastic. 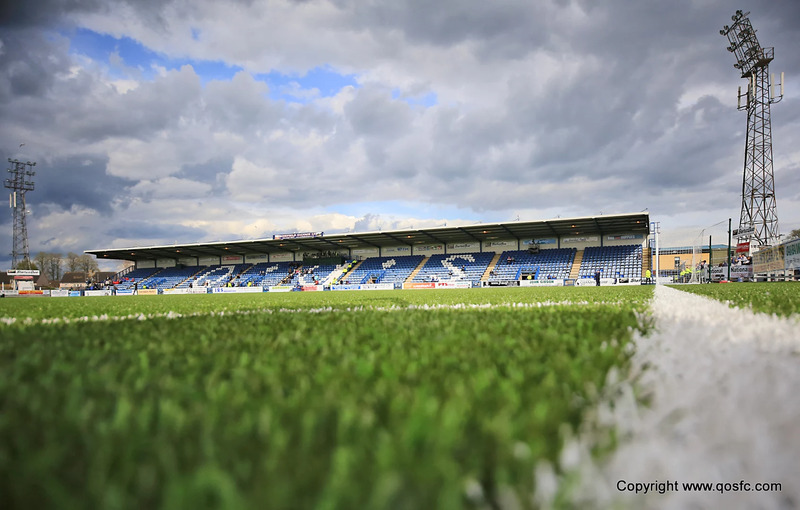 Next week we begin a run of three consecutive home games, as Inverness Caledonian Thistle visit Palmerston. A win for Queens would put them within 1 point of Caley, and on the verge of the play-offs. 13:49 Good afternoon and welcome to Somerset Park for today’s game away to league leaders Aye United. Line-ups will be out as soon as I get them. 14:31 It’s currently Dobbie 13, Shankland 12 in the top goalscorer race. Almost a quarter of Dobbie’s goals have came against today’s opposition! 6 min Dobbie’s dangerous ball in results in a Queens corner. 16:52 Ayr’s 100% home record in all competitions comes to an end today with a 1-1 draw thanks to a Connor Murray goal.